I worked for the British Sord importer in the early 80's and we had a couple of these beasts. 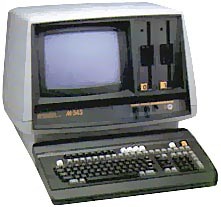 They were the first high-end professional grade computer I had seen, they were aimed at financial applications. see more Sord M343 Ebay auctions !